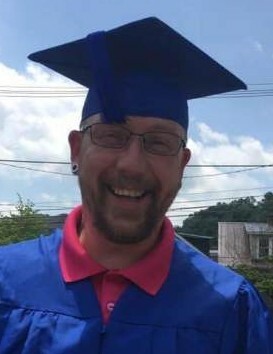 Clayton Reed Jump, age 40 of Prestonsburg, Kentucky and formerly of Batavia, Ohio died Friday, February 8, 2019 at his residence. He was a plumber and loved the outdoors. Clay was born December 3, 1978 in Cincinnati, Ohio the son of Robert Kent Jump, Sr. and fiancé Jeanette Cecil of Batavia, Ohio and Barbara Jean (Roark) King and husband John of Goshen, Ohio. Besides his parents, Mr. Jump is survived by his fiancé – Jessica Patrick of Prestonsburg, Kentucky; two sons – Seth and Xander Jump; one step-son Kyler Patrick; one brother – Robert K. Jump, Jr. and wife Michelle Weaver of Peebles, Ohio; one sister – Robyn Jump of Buckhorn, Kentucky; two step-brothers – Jason King of Trenton, Ohio and Jeff King and wife Julinda Mobley of Trenton, Ohio; one step-sister – Jennifer Chasteen on Monroe, Ohio; seven nieces and nephews – Sydney Jump, Elizabeth Frost and husband John, Nicholas Weaver, Cody Black and Cody, Jonathon, and Alyssa Hornsby; two great nieces and nephews – James Jump and Luna McFadden and many friends. Funeral services will be held at 6:00 P.M Wednesday, February 13, 2019 at the Cahall Funeral Home in Mt.Orab, Ohio. Jeff Dunaway will officiate. Visitation will be from 4:00 P.M. – 6:00 P.M. Wednesday at the funeral home.